Janelle Bowden is a scientist by training holding a Bachelor in Biotechnology (Honours) degree, and PhD in Immunology. 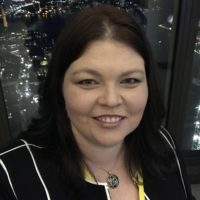 She has been involved with clinical trials in Australia and internationally for 18 years and is passionate about improving efficiency and consumer engagement in clinical trials. Janelle founded Research4Me as the first social network for clinical research with the aim of making it easier for the public and researchers to get support and connect to improve and speed up clinical trials. Consumer Involvement in Health and Medical Research: What’s driving change and how can health consumers contribute?